Before installing any update or service pack, please consult with us first! NCR Counterpoint Version 8.5.5 has been released! Please call to schedule an update/upgrade. 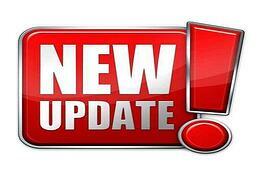 On the Software Documentation page, you can also view the Release Notes for NCR Counterpoint Version 8.5.5 to see all of the new features that are included in this version of NCR Counterpoint. The following corrections are available in the NCR Counterpoint Release Image and the Service Pack file CPSP85.EXE.ZIP on the NCR Web site at www.counterpointpos.com. On all systems, you need to install the service pack at the Server and Always Offline Workstations only. Each Non-Offline and Sometimes Offline Workstation is automatically updated the next time it runs NCR Counterpoint. You must have a current software subscription to get the new release.